Researchers from the Murdoch Children’s Research Institute (MCRI) have found a link between the mental health of five year olds and their ability to learn at school. 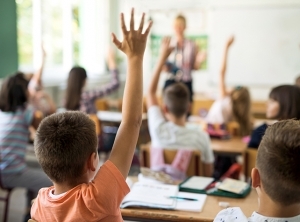 MCRI researchers have analysed teacher-reported data for more than 302,000 Australian children in their first year of primary school and identified a strong correlation between child mental health and learning. The research has been published in the School Mental Health journal. The paper looked at child mental health difficulties – with symptoms such as anxiety; and child mental health competence – the child is confident, curious and getting along with their peers. This is the first time Australian researchers have looked at how the combination of mental health difficulties and competence impacts the learning capacity of young children. MCRI’s Senior Principal Research Fellow of Policy, Equity and Transition, Professor Sharon Goldfeld, said the study found that around 20 per cent of children with very poor mental health experienced problems with their early learning, while less than one per cent of children with optimal mental health experienced these problems. “Promoting early school success is easier and more cost effective than trying to fix a child’s difficulties in the later years of their schooling,” Prof Goldfeld said. The research paper ‘Profiles of Mental Health Competence and Difficulties as Predictors of Children’s Early Learning’ focused on two key areas of early learning: (1) communication skills and general knowledge; and (2) language and problem-solving. 27 percent of the children assessed had very poor mental health; that is, low levels of competence and high levels of difficulties. Data were drawn from the Australian Early Development Census, which was completed by teachers (with a minimum of one month’s knowledge of the child); the average age of children was five years and seven months. “Currently interventions targeting child mental health difficulties like anxiety are mostly offered by medical and health services, while interventions targeting mental health competence, like getting along with other children, are mostly in the education area,” Prof Goldfeld said.